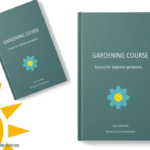 Starting a garden this year? 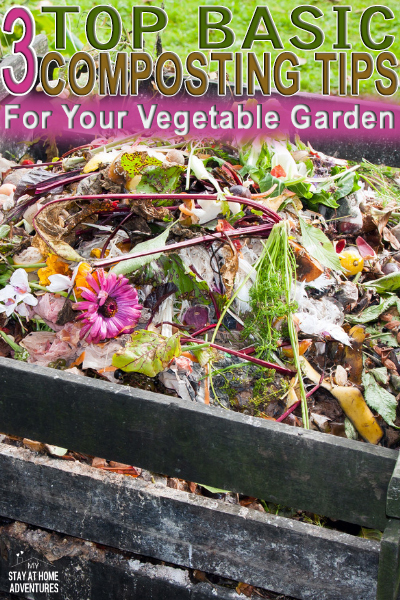 Let's talk three basic composting tips for your organic vegetable garden. 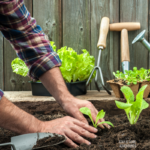 If you are a beginner gardener like we are here, then you are going to learn three basic tips about composting that will help you with your new gardening adventure. Compost is decayed organic materials such as eggshells, leaves, and other things, and using them as fertilizers. Compost is an essential part of gardening; you may say its a vegetable garden best friend. Without good compost, you might not have a successful growing a vegetable garden. Good compost has nutrient-rich “black gold” that works amazingly in your garden beds. But what you need to know about compost is that it doesn't cost much to get good quality compost for your garden. Yes, you heard right. Compost doesn't cost much because you, yourself, can make your own good quality compost in your home. You don't need to invest a lot of money to start making garden compost, and you don't really need a lot of space. All you need is some basic raw materials and a bit of effort to create your compost. Below you are going to learn three basic composting tips that are going to help your organic garden. The number one tip you need to learn is to pick the right location to make your compost. Many believe that the dimensions for a compost heap range from 3 to 5 feet in length, width, and height. However, that is not always the case nor a rule. Although the recommended “ideal” dimensions for a compost heap range from 3 to 5 feet in length, width, and height, this isn’t a hard and fast rule. So why are these dimension recommended? The reason why is because compost piles that are this size can generate enough internal heat to break down the material matter quicker. Now, know that at the same time, these dimensions are small enough that home gardeners can manually turn and keep them moist without too much trouble. Why do these conditions matter? It matters because you need heat, oxygen, and moisture are essential and they all factor into how quickly the organic material in your bin breaks down. If you have this size space to compost this size as you can see this has benefits and you should take advantage of it. I don't have that big of a space to make organic compost what should I do? If you don't have the space required above, you still can make compost with less space, but it might take a little longer time to make compost. There are small composters out there that work. And even smaller composters that work as well. 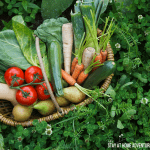 There are many foods you can toss into your garden that will add nutrients to your garden soil naturally. There are no compost piles in nature. Nature is extremely efficient and does a great job breaking down and reusing what is no longer viable on its own. Now, before you go out and start tossing kitchen scraps, you need to make sure they are cut and chop into pieces before throwing them to your garden. This will help to break down quickly. When it comes to manure, it should be appropriately aged and added to the soil, not your plant as manure will burn your plants. Depending on the type of manure and environmental conditions, this process can take anywhere from several weeks to months to complete. Please avoid cats and dogs manure. The next basic composting tip is about adding the right materials and the right quantities to your compost. Compost is created when organic materials are broken down by microbes and other organisms. All this happening thanks to heat, moisture, and oxygen like stated above. Now you are going to learn about the two main categories of raw materials to use when composting. What are the two main categories for composting? Now that you know about carbon and greens what do you do next? Do you just throw them into the compost bins? When you search the web, you will find different ways to make the “perfect” organic compost. To save you time many “ideal” ratio of carbon to nitrogen materials in compost piles ranges between 25-30 part carbon to 1 part nitrogen. This seems to be a great guideline, right? But how do you know is going to work for you, the average home gardener? How can we know how much nitrogen is present when we want to make organic compost? To be honest, I didn’t know how much nitrogen is present in grass clippings and garden weeds. Or how much carbon is available in a mixed pile of leaves? The reality is sometimes you just need to dive in and take an educated guess. Do some experimenting to see what works for you, while keeping the recommended ratios in mind. Keep track of your results and make adjustments as you go along until you find the right balance. Remember, gardening is supposed to be fun, not another source of stress. So, have some fun with this process! In addition to knowing what materials you should use, you’ll also want to avoid composting others. As mentioned above dog and cat feces, sawdust from wood pallets or pressure treated lumber, glossy printed paper, non-organic kitchen scraps, grass clippings from areas that have been chemically treated, and meat and other animal products should be avoided. 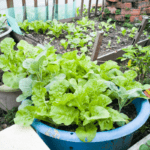 Some of these items will attract unwanted pests to your garden, while others will introduce toxic and harmful substances, you’ll want to keep far away from the food you grow. 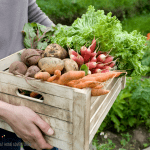 Now that you have 3 basic composting tips for your organic vegetable garden its time to start planning and get started. 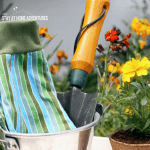 Hope these tips help you with your garden season. You read 3 Basic Composting Tips to Help Your Vegetable Garden what are your tips and thoughts about it. 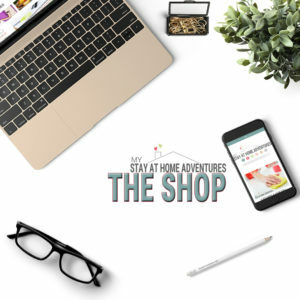 Share them with us below.